Channing Tatum says his wife was his "sugar mama" when they first started dating because he couldn't afford to pay his rent. Jenna Dewan-Tatum used to be Channing Tatum's "sugar mama". The couple ? who recently welcomed daughter Everly ? met on the set of 2006 movie Step Up and while Channing has gone on to become a global superstar, he admitted he knew Jenna was the woman for him when she supported him during the tough times when he couldn't pay his rent. The 33-year-old actor told Elle.com, "I was broke and I couldn't pay my half of the rent when we were first together. She was basically my sugar mama for six months." Channing also revealed a vacation to Hawaii, early in their relationship, made him see that Jenna was the perfect woman for him because even when things got tough, she never doubted him. He explained, "We were on our first trip together, in Hawaii, trying to find this waterfall. There was a trail with markers and stuff, but we had to walk for about four-and-a-half hours [to find it]. Then I look up ? we don't have four-and-a-half hours of light to get back. We don't have flashlights. We don't have anything. It starts to get dark, so we're jogging back a little quicker. You couldn't see your hand in front of your face. "Most people would panic, [saying] 'This is your fault! Blah blah blah!' But Jenna was completely sane, just trying to get the job done. We got out, covered in mud, and there was one more beer in my bag. We shared it by the side of the road." 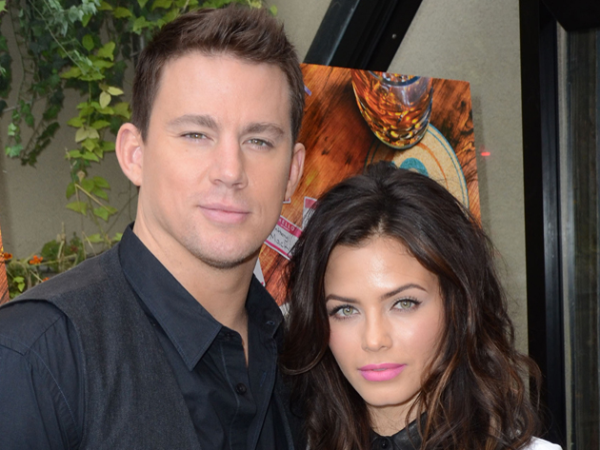 Channing cites honesty as the key to their long-lasting relationship. He said, "I think communication and being brutally honest about the things that you want [are key]. No matter what, talk to each other. That stuff you might be nervous to hear? You gotta want to know."